Describe your most meaningful achievements and how they relate to your field of study and your future goals? African American under the age of 30, residing in Grenada County and enrolled in a career or technical program. 1. 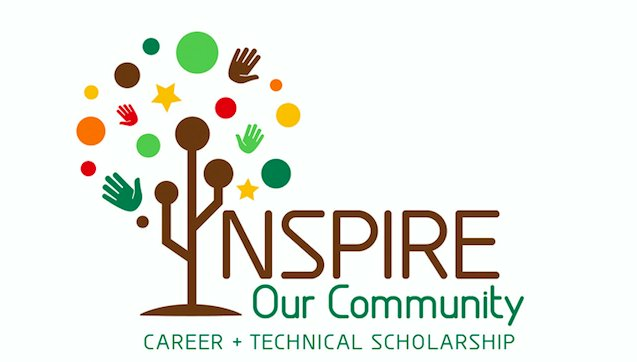 Sponsor: Inspire Our Community Career & Technical Scholarship. (the "Contest") is sponsored by Project Impact MS, Flowood, MS (the “Sponsor”). The Sponsor is responsible for all aspects of the Contest. Participation in the Contest constitutes the participant's full and unconditional agreement to these Official Rules, and Sponsor’s decisions, which are final and binding in all matters related to the Contest. 2. The Contest is only open to participants who are legal residents of United States and must be an African American under the age of 30, residing in Grenada County and enrolled in a career or technical program. at the time of entry (the “Entrant”). Employees of sponsor, their respective affiliates, subsidiaries, advertising and promotion agencies, suppliers and their immediate family members and/or those living in the same household of each are not eligible to participate in the Contest. The Contest is subject to all applicable federal, state and local laws and regulations. Void where prohibited or restricted by law, rule, or regulation. 6. Prizes: The approximate retail value of scholarship is $1,500. The specifics of the prize shall be solely determined by the Sponsor. No cash or other prize substitution permitted except at Sponsor's discretion. The prize is nontransferable. Any and all prize related expenses, including without limitation any and all federal, state, and local taxes shall be the sole responsibility of the winner. No substitution of prize or transfer/assignment of prize to others or request for the cash equivalent by winners is permitted. Acceptance of prize constitutes permission for Project Impact MS to use winner's name, likeness, and entry for purposes of advertising and trade without further compensation, unless prohibited by law.